As a young boy who grew up in a small rural community in Kitzmiller, Maryland, the late Robert “Bob” K. Pritts Sr. had a bold and unusual dream as a youngster. It was a dream unlike any of his family members had ever held and one which the common person might consider to be “odd”. However, the pursuit of this dream was put on hold when he enlisted in the Korean War and through rigorous training was chosen as a member of the Ranger Infantry Company (Airborne). Upon being honorably discharged in 1952, Bob returned home and entered mortuary school to fulfill his childhood dream. He attended Pittsburgh Mortuary School of Science and served his apprenticeship at Waltz Funeral Home in Winfield, Maryland. At the completion of his apprenticeship, he and his wife, Anne, moved back to Kitzmiller and made his long awaited dream a reality. The couple purchased a small home nestled on the banks of the Potomac River and renovated it into a funeral home. Bob and Anne along with their son, Robert “Kyle” Pritts Jr., lived upstairs in the tiny two-bedroom house while the main level of the home served as the funeral home. 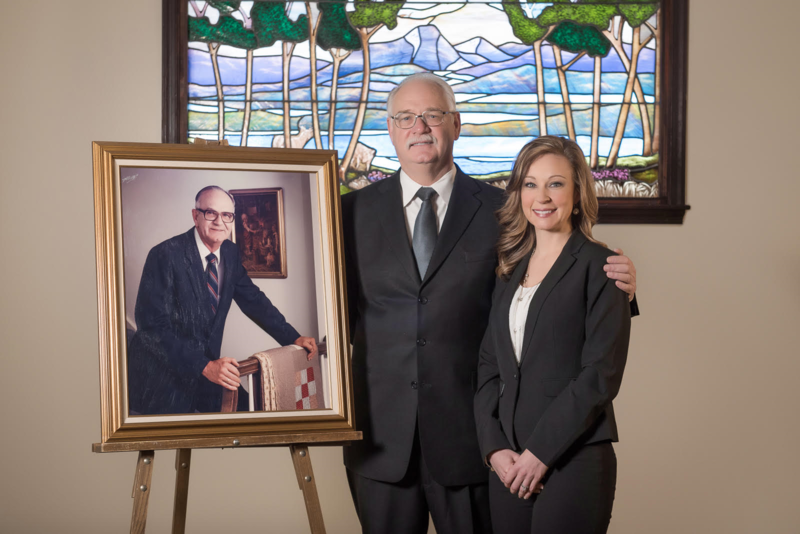 In 1964, Bob and Anne moved their family to Westminster where Bob was employed as a funeral director by John E. Myers, a well-known funeral director in Carroll County. Shortly thereafter, Bob became a partner at the firm, “Myers-Pritts Funeral Home”, until Mr. Myers’ death in 1976. It was at this point in time that Bob became the sole owner of the funeral home and the name changed to “Pritts Funeral Home”. In 1979 Bob decided to embark on yet a bigger dream. With his wife, Bob purchased a piece of property rich in history and ample in space that would serve well as a lasting legacy for their community and family. On October 21, 1984 the funeral home located on 412 Washington Road held its first open house. The stately facility, previously known as “Broadacres,” was built by the late W. Frank Thomas in 1919 and originally consisted of 150 acres. The Pritts Family purchased the property from the Troxell family who had used the property for an antique business. Bob and Anne worked hard to preserve the natural historic integrity of the home which had come to be known as one of the landmark homes in the area. There is even a unique historic artifact placed approximately 120 feet from the front of the house, an original marker designating the boundary line between the city of Westminster and the county. After Bob’s death in 1994, Kyle purchased the business, and has since been the owner and director. He has made additional changes to the home to better accommodate families and their needs: a family conference room and large lounge were built. Technological advancements were made to the chapel, that accommodates approximately 250 seats with overflow areas. The parking lot underwent expansion, the portico was enclosed, and the grounds have been professionally landscaped. Kyle has recently opened an extension of his family business in his hometown. Pritts Funeral Chapel, located in the quiet town of Kitzmiller opened in 2017. Kyle is proud to bring his father’s childhood dream full circle back to where it began. Pritts Funeral Home & Chapel P.A.